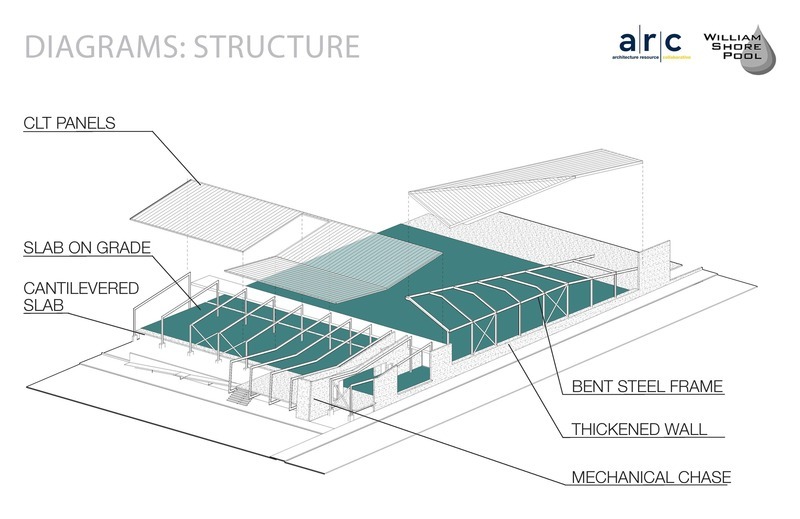 ARC has been involved with the renovation and addition to the William Shore Pool since the late 90’s. Our early design efforts investigated options for improvements to the 1961 facility, including enhanced aquatic programming and improved building and site design. The early studies set the stage for 2013 mechanical system improvements that have reduced energy use and costs. 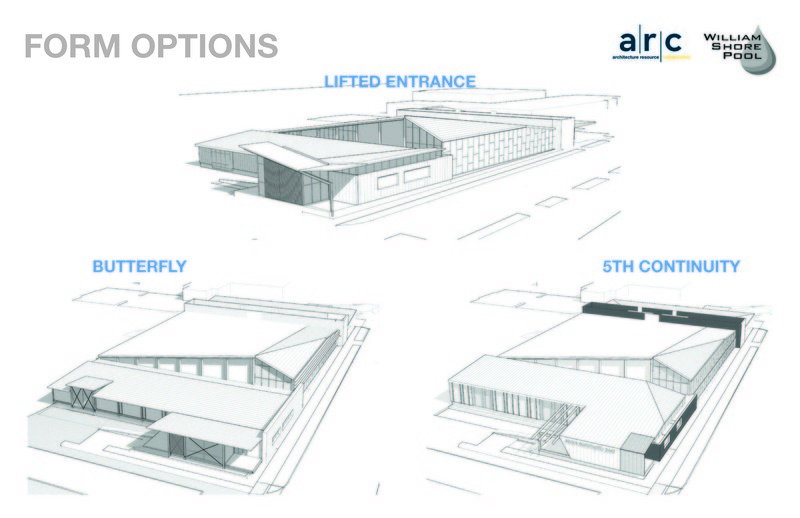 In 2017, the owner requested that ARC and its design team advance the design for construction. 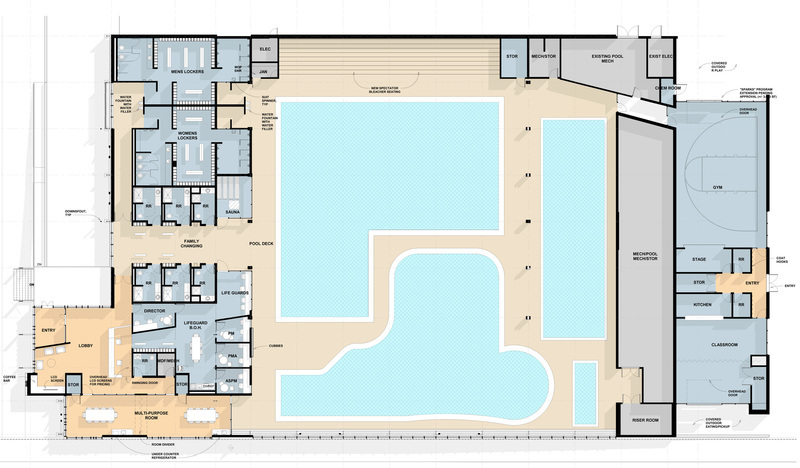 Aquatic Design Group, who helped with the study, is designing the pools, which include a renovated lap pool with diving area, a renovated activity pool with vortex and lazy river, a 3-lane warm-water lap pool that is also for exercise and free swim, and a small therapy pool. The architecture of the building is unique to Port Angeles and requires careful consideration of new construction that respects its mid-century style and features while providing a sense of contemporary, climate-sensitive design. An important feature of the additions is exposed steel beams and CLT’s that are compatible with existing wood beams and decking. 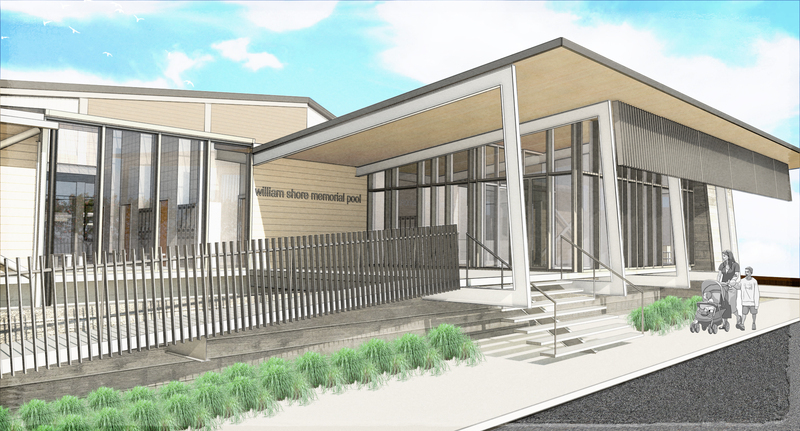 Additionally, there are views into key activity areas, reuse of stormwater for rain gardens, protection of walls and entrances with deep overhangs (something the original building lacked), and new activity and meeting rooms.